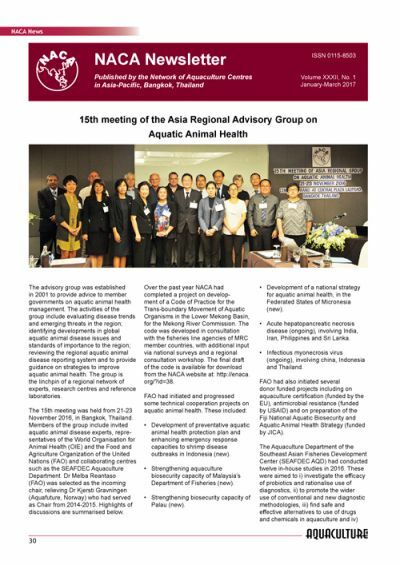 15th meeting of the Asia Regional Advisory Group on Aquatic Animal Health. Consultation on responsible production and use of feed. Reducing health risks from anti-microbial resistance in aquaculture. 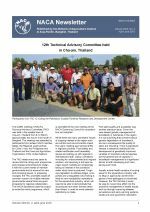 The NACA Newsletter covers research and development news from collaborating research centres and member governments. It published both as a stand-alone publication and as a section in Aquaculture Asia Magazine.